Mesonoxian – pertaining to midnight. I’m ready to be inspired, she said & I said that’s not quite how it works, so instead we sat in the garden, breathing & watching the bees until she smiled quietly & said, I forget it’s that simple. Inspiration © 2014 Brian Andreas – posted with permission. Year’s end is neither a beginning but a going on, with all the wisdom that experience can instil in us. 400 Vandals, Alans and Suebians crossed the Rhine, beginning an invasion of Gaul. 1229 James I of Aragon the Conqueror entered Medina Mayurqa (now known as Palma) consummating the Christian conquest of the island of Majorca. 1599 The British East India Company was chartered. 1687– The first Huguenots set sail from France to the Cape of Good Hope. 1695 A window tax was imposed in England, causing many shopkeepers to brick up their windows to avoid the tax. 1720 Charles Edward Stuart, pretender to the British throne, was born (d. 1788). 1759 Arthur Guinness signed a 9,000 year lease at £45 per annum and started brewing Guinness. 1853 Sir George Grey left New Zealand after finishing his first term as Governor. 1857 Queen Victoria chose Ottawa, as the capital of Canada. 1869 Henri Matisse, French painter, was born (d. 1954). 1878 Elizabeth Arden, Canadian businesswoman, was born (d. 1966). 1879 Thomas Edison demonstrated incandescent lighting to the public for the first time. 1904 The first New Year’s Eve celebration was held in Times Square(then known as Longacre Square) in New York. 1908 Simon Wiesenthal, Austrian Holocaust survivor, was born (d. 2005). 1923 The chimes of Big Ben were broadcast on radio for the first time by the BBC. 1937 Sir Anthony Hopkins, Welsh actor, was born. 1941 – Sir Alex Ferguson, Scottish football manager, was born. 1943 John Denver, American singer and songwriter, was born (d. 1997). 1943 Sir Ben Kingsley, English actor was born. 1943 Pete Quaife, English bassist (The Kinks) was born. 1946 President Harry Truman officially proclaimed the end of hostilities in World War II. 1951 The Marshall Plan expired after distributing more than $13.3 billion USD in foreign aid to rebuild Europe. 1955 The General Motors Corporation became the first U.S. corporation to make over $1 billion USD in a year. 1960 The farthing coin ceased to be legal tender in the United Kingdom. 1963 The Central African Federation officially collapsed and split intoZambia, Malawi and Rhodesia. 1965 Nicholas Sparks, American author, was born. 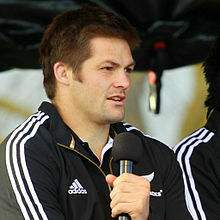 1980 – Richie McCaw, All Black captain, was born. 1983 – The AT&T Bell System was broken up by the United States Government. 1991 All official Soviet Union institutions ceased operations by this date and the Soviet Union was officially dissolved. 1992 Czechoslovakia was dissolved, resulting in the creation of the Czech Republic and Slovakia. 1996 – On New Year’s Eve around 4000 people made their way to the remote location of Canaan Downs, Tākaka, to take part in the first Gathering, a two-day festival for electronic dance music fans. 1998 The European Exchange Rate Mechanism froze the values of the legacy currencies in the Eurozone, and established the value of the eurocurrency. 1999 Boris Yeltsin resigned as President of Russia, leaving Prime Minister Vladimir Putin as the acting President. 1999 – The United States Government handed control of the Panama Canal (as well all the adjacent land to the canal known as the Panama Canal Zone) to Panama. This act complied with the signing of the 1977 Torrijos-Carter Treaties. 2004 The official opening of Taipei 101, the tallest skyscraper at that time in the world, standing at a height of 509 metres (1,670 ft). 2007 – Bocaue Fire: Seven people were injured when a fire resulted in the explosion of several fireworks stores in Bocaue, Bulacan, Philippines. 2009 – Both a blue moon and a lunar eclipse occurred. 2011 – NASA succeeded in putting the first of two Gravity Recovery and Interior Laboratory satellites in orbit around the moon. 2014 – A New Year’s Eve celebration stampede in Shanghai killed at least 36 people and injures 49 others. 2015 – A fire broke out at the Downtown Address Hotel in Downtown Dubai, United Arab Emirates located near the Burj Khalifa 2 hours before the fireworks display was due to commence. 16 injuries were reported. Senectitude – the last stage of life; old age, elderliness. You are currently browsing the Homepaddock blog archives for December, 2017.